A petition to reinstate parents’ rights to take their children on holiday during term-time has been delivered to the Department of Education. It has 126,000 signatures from parents concerned that they cannot afford the hike in travel costs during school holiday periods. Until September, head teachers had the discretion to grant up to 10 days' leave from school, although this was supposed to be used only "in special circumstances". In effect parents were using the loophole to take cheaper holidays in September when the school term had already begun. New rules coming into force from September 1 removed that clause, and heads can only grant leave "in exceptional circumstances”. This is unlikely to include a week in Mallorca. Parent Craig Langman began the petition on the 38-Degrees Campaigns By You website. "All children who have a good attendance record should be allowed the opportunity to enjoy quality time with their parents on an annual holiday of up to 10 days once per year," the petition argues. 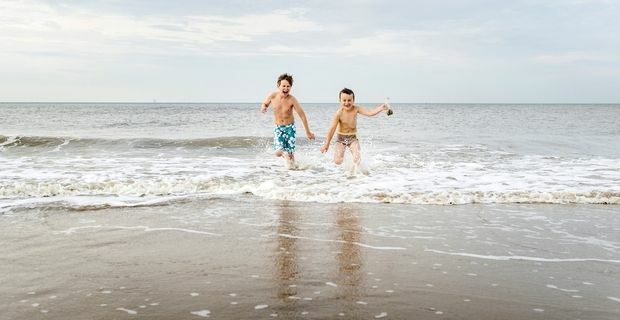 "I am not asking kids to have a guaranteed extra two weeks on top of their existing 10 weeks' holiday each year," Langman told the BBC, "but this blanket ban on term-time holidays with the threat of a fine is almost killing families." He suggested that his six year-old’s trip to Rome with his family two years ago was "probably more educational than being in school to be honest." It’s an argument that is persuasive when it applies to six year-olds, less so when it is used about 14 year-olds approaching key exams. The Department of Education suggested that allowing schools flexibility about setting their term dates could be a partial solution. "If children aren't in school they lose out on valuable learning time and have to waste more time catching up," a spokesman said. "That's why children shouldn't be taken out of school during term time unless absolutely necessary."